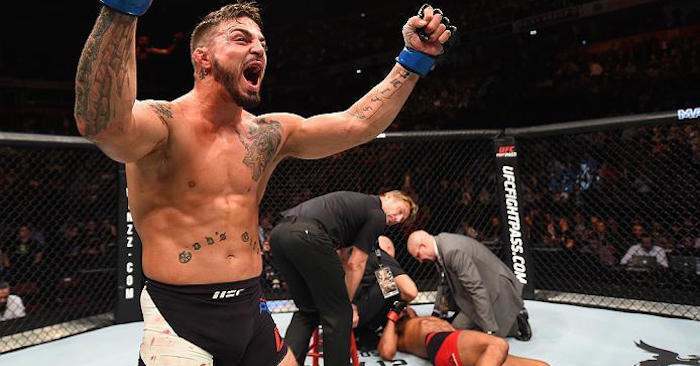 UFC knockout artist Mike Perry is quickly making a name for himself in the Ultimate Fighting Championship. Now, it would appear that the fighter has snared the attention of the welterweight champion. UFC welterweight champion Tyron Woodley has already defended his title twice this year, with a decision victory over grappling phenom Demian Maia and rival Stephen “Wonderboy” Thompson. Now Woodley has come forward to reveal that Mike Perry is currently on his radar. In an interview on the Fight Strength Podcast, Tyron Woodley offered his thoughts on “Platinum” Mike Perry.